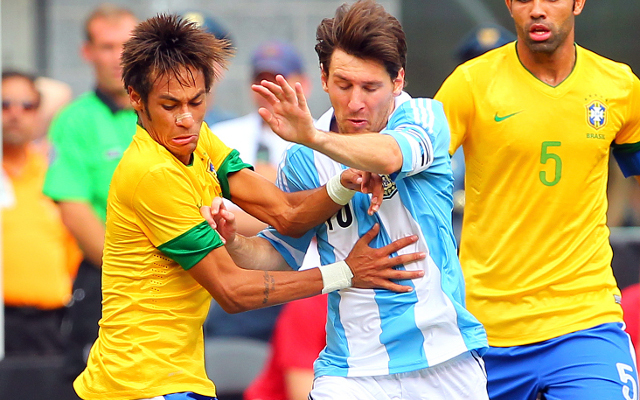 Brazil’s friendly with Argentina – scheduled for Saturday morning – might be cancelled. Brazil and Argentina are due to be playing a friendly in Beijing tomorrow, but the game is now under severe threat of cancellation due to smog in the Chinese capital. Blackett new contract – does he deserve a new deal? Players have been stuck in their hotels for 22 out of every 24 hours since their arrival in the country earlier this week. The Chinese authorities have issued an ‘Orange Alert’ – the second most severe alert available – as a result of Thursday’s air quality being a staggering eighteen times worse than the recognised safety level. Beijing is well-known for having pollution issues, but it is believed the problem has been exacerbated by local farmers burning plant stalks after the autumn harvest. The smog is not forecast to clear until later on Saturday. Several Brazil- and Argentina- based players are in the respective squads. Brazil’s team includes Elias from Corinthians, Everton Ribeiro and Ricardo Goulart from Cruzeiro, and Kaka from Sao Paulo. Argentina’s features Fernando Gago from Boca Juniors and Leonel Vangioni from River Plate.